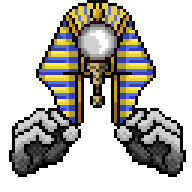 It's been a while since I posted in here, since i've been focusing on stuff other than spritework for a while, though I have been dabbling in it here and there. I decided to get back on it with more stuff, so let's get started. 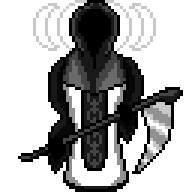 Next up, another race of Life creatures - Saints. Starlight above, hear our plea! Burn our souls, we beg of thee! I call the light to purge us all! Fill my throat with flames, o light of lights! Scorch my eyes to ash, o light of lights! Brand my will with irons, o light of lights! 'What joy, but for all to stand as one in light? What fury, but for that which keeps us from it? What voice, but to praise the revelations? What wisdom, but to know the truth? What will, but to seek the light? 'You - the one who reads this. Attend! You are a fool, yet you would know us. Listen then, and be foolish no longer. We are the Fated Light, who would share with you a truth that has been deemed blasphemy by the weakest among you. The tales that the Hunters who worship Meraxis tell are often esoteric and extremely hard to translate, but one that seems to be consistently told as either a forbidding or a warning is that of the 'Nothing Men', or 'The Ones Who Travel Wrong'. From what can be understood, these are either Hunters transformed by some unknown magic or beings that resemble Hunters in shape but not in nature, that are encountered only in 'The Small and Bad Corners' of the realms wielding terrifying unknown magic to ward away intruders. These tales are always told in a hushed and nervous tone, with the implication that these 'Void Hunters' protect travelers from something even worse. Lurid tales tell of a blacksmith of Caedo who was reputedly cursed - though the armaments he created were always impeccable, horrid misfortunes befell any who chose to wield them. In spite of this, life in Caedo was such that many took their chances regardless, leading to his fearsome reputation - a reputation that soon reached the ears of Tartarith once he ascended to godhood. 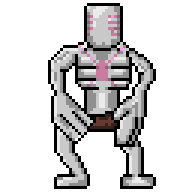 In a rare sojourn from the Torture Chamber, he captured the blacksmith and had him craft a terrifying suit of armor. 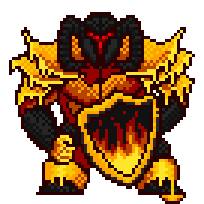 When the armor was complete, Tartarith forced the blacksmith into it before it had even cooled down, fusing him into it and making him his servant for all time. When the Efreets were being made to combat the Djinn uprising, many were made with Vulcanar's assistance, and in varying different forms. One particular attempt to increase their power led to the creation of this unfortunate creature, however. 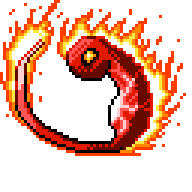 It burns with incredible arcane intensity, but unlike the other Efreets its lifespan is incredibly short and tied to its supply of magic - if it were to run out, it would collapse in on itself and explode catastrophically. Current rumor has it that Vulcanar supplies the Unstable Efreet with the power it needs and craves, in exchange for its servitude as an enforcer. During the Brownie slave trade, there were a scant few Brownies who themselves participated in the heinous act of selling their kindred for profit, despite knowing full well the horrible cruelties their brethren would endure. As there exists a code between all Brownies that they will never kill one another, even the legendary heroes who helped end that awful era could not bring themselves to act against these powerful individuals. However, tales exist of one Brownie who had no such trepidation about breaking the code - the Renegade. 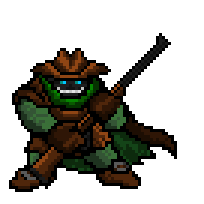 With his powerful shotgun, he hunted the slavers down like dogs and gave them the bloody end they deserved. This particular species of Pit Worms have an affinity for the cold that is quite unusual for their kind, and can even endure temperatures magically pushed below absolute zero by entering a hibernation state. 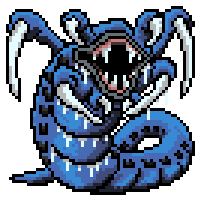 Though significantly slower than their kindred, their ability to tunnel through solid ice and rock is unparalleled, thanks in no small part to the huge claws and sharp, durable teeth this worm possesses. Lost claws and teeth from Frigid Pit Worms are prized as weapons by the people of Sithicus, in spite of (or perhaps because of) the sheer difficulty in obtaining them from the worm. Back for more with the last of this set of five, one for each class - this time a set of Life creatures - Cherubs. 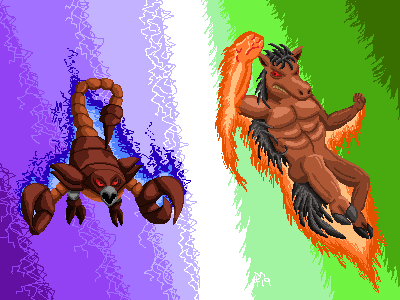 Siralim has a few creature lines based on biblical angels - the Angels, Seraphs and Ophans. (Possibly the Amaranths too?) 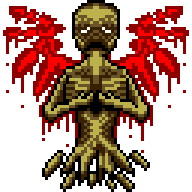 I noticed Cherubim were missing, but figured just little winged babies would be boring - so I thought what if i exaggerated the concept further and made them embryonic in appearance? You can see the results below! The Cherubs are utterly ancient creatures that dwell within the Azure Dream; strange and nascent beings that have seemingly existed since long before the arrival of the gods. Only a few times in recorded history have the Cherubs ever moved or displayed many signs of activity or change - mostly in acts of self-defense against those who would do them harm. The Bhasa Cherub's glowing filaments radiate blinding amounts of light, but are completely cool to the touch. When threatened however, it launches searing rays of light towards its would-be predator, that arc through the air at impossible angles and never miss their mark. Surathli has studied the cherubs over the ages, and has sternly warned her followers to never disturb them for any reason. From what she has managed to discover of them, they all contain tremendous levels of power but seem to lack any ability to actually use or channel the energies efficiently. Combined with their unformed and simplistic appearance, Surathli has wondered if the Cherubs could be the physical manifestation of unborn gods. The Surya Cherub burns constantly with ferocious intensity, radiating such great heat and light that it is often mistaken for a misplaced star. 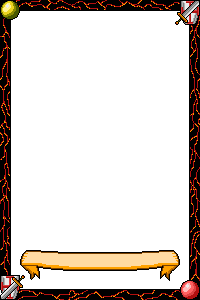 These flames do not cause it harm, and appear to simply be a natural part of its body. Different cherubs possess different kinds of energy, and in rare cases this energy has been known to shift and change over time as if undergoing slow development and refinement. 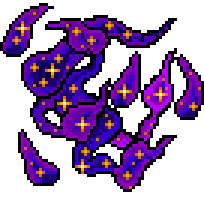 One notable cherub that was initially thought to have died had simply instead had shifted to a strange void-like energy, and strange sights could be perceived through its new aura. Getting close to a Nisha Cherub darkens everything, as if it casts a permanent shroud of night within its sphere of influence. 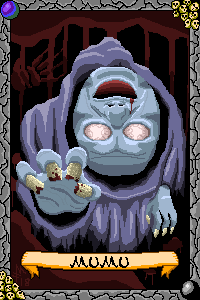 When threatened, the shroud of darkness simply thickens around the attacker and swallows them whole within the span of a second, leaving nothing behind. Many fear the great power of the Cherubs, despite them having never performed any actions of note within recorded history. Indeed, most of the Cherubs have simply remained where they are in the Azure Dream for eons, as if waiting. The only notable event regarding them is on the rare occasion when a cherub simply vanishes. Few know where it has gone when this occurs, and those who know elect not to speak of it. 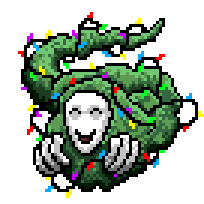 Though it appears that the Vipina Cherub has been parasitized by plant growths, this is not true and the plants are just a part of its body. The vines often bloom into strange and beautiful flowers that have never been seen anywhere else. 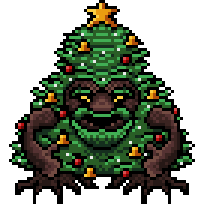 And four more christmas monsters to round off the list of ideas i've had for a couple months! 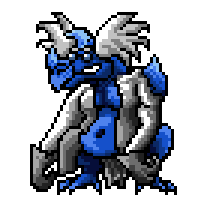 This creature was reluctantly created by Torun after losing a bet with Azural a long time ago; Torun, as might be expected, hates the mere sight of this Giant and will berate it out of his presence whenever he sees it. 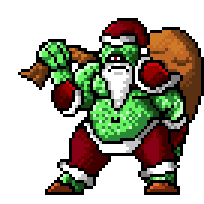 As part of the agreement, the Jolly Old Giant roams around finding villages during the holidays to bring them gifts - however, due to Torun's incessant mockery and its own surly nature, it resents its job immensely and puts as little effort into it as possible. Households have come to dread the sound of booming footsteps on winter nights, lest it be followed by a bellowed shout of "MERRY", followed by a huge bag of gifts being slammed through the roof of the house, usually destroying the abode outright. 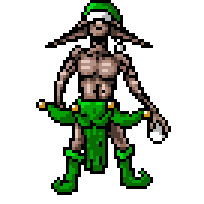 Elven legends tell of a seer who could peer into other worlds and tell of what he saw within - however, after peering into one particular dimension and seeing some sight the horror of which could only be guessed at, the elf went completely and utterly mad. He began laughing uproariously... and simply never stopped. 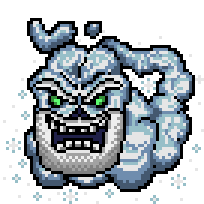 His village tried to tend to him out of pity, but he soon escaped, donning a garish outfit and pelting anyone he found with manifested snowballs while singing terrifying refrains about an all-seeing being who knows when you are sleeping, and knows when you're awake. These bards only appear in the latter months of the year when the weather is cold enough, and join into large groups to sing traditional songs about festivity. Their warm coats and decorated wreaths are often a welcome sight to laborers who have spent the year working hard, and will often reward the bards with offerings of food and money in exchange for their heartwarming performances. Some however, are becoming irritated that the Bard Carollers seem to be appearing sooner and sooner every year, and find their repetitive songs a source of great annoyance. Many know of the Dumpling and its penchant for evasiveness, as well as the deliciousness which makes it much sought after by just about everyone - according to old tales however there are a subset of wintry dumplings who are said to be possess one of the sweetest flavors in existence, but are so ridiculously fast that most would be lucky merely to catch a glimpse of one. So goes the tale of the Pudding, a creature that most certainly exists but largely confines itself to the cold regions where few would travel, which it apparently does to 'stay fresh'. None are quite sure what such a claim means - indeed, of all the beings in Rodia, only the Pudding may truly know what it means to be 'fresh'. Another line for you all - the Sorcery class Fools. 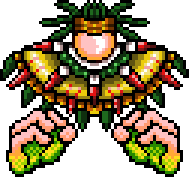 I think my spritework is improving given I can make these quite quickly now - at any rate, I noticed Siralim is lacking a clown-themed monster, which.. is just a staple, really. 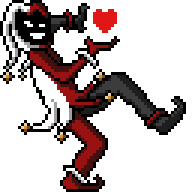 Who doesn't like to beat up clowns? Or jesters, at any rate. 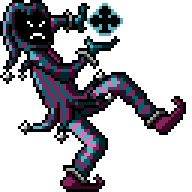 Jesters are just really old clowns. The Carnival of Illusion is a well-known yet esoteric group in Rodia of unknown origin who have managed to evade capture for hundreds of years despite the huge and ostentatious festivals they set up on rare occasions. Their circus headquarters seems to be able to simply appear and disappear within an instant, making them incredibly hard to find if they do not wish to be found. 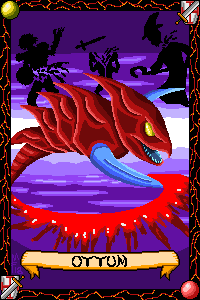 The Fool of Spades' melancholic demanor should not be taken as a sign of weakness - their skill with blades of all kinds is near-unparalleled anywhere in Rodia, and many would-be duelists going in against these creatures have found themselves skewered before even drawing their weapon. The Grand Circus of the Carnival simply appears overnight with no warning in an unobserved location, and remains there until it is either significantly threatened or the Carnival decides it is time to leave. Most kingdoms of Rodia know well that the carnival's appearance can only possibly mean trouble, and forbid their citizens from visiting - but there are always those who are too curious for their own good. With a flirtatious and sensual demeanor, the Fool of Hearts lowers the guard of its quarry into sharing a drink or toast with it - at which point the ludicrously powerful alcohol it brings with it takes hold of its mark, and it subsequently robs them blind. Those who visit the Carnival of Illusion never return the same as they entered - many go so utterly mad they become unable to communicate clearly what they saw within. Others simply flat out refuse to ever talk about it. Only a select few have come away with their sanity intact, yet still struggle to describe what they saw and experienced within. And then of course, there are those who simply never return at all. The foul temper of the Fool of Clubs marks it well as a being of volatility - it possesses great talent with magic, and through some trick is able to twist the spells of others around it to cause unpredictable and chaotic outcomes, as if the magic itself had suddenly rebelled. From what Rodia's best interrogators and mages have managed to glean from the carnival's unfortunate patrons, the circus itself does not appear to be a true physical location - only an aperture into something else entirely. Deliberate planned forays into the circus have always met with utter, unmitigated catastrophe, a cruel fact that has resulted in few being willing to investigate the carnival too closely. The Fool of Diamonds is less maliciously inclined than most of its kind, and seem to prey mostly on frauds and scammers - turning their own cons around upon them and leaving them penniless and at the mercy of their former marks. Even the gods are not immune to whatever lies within the Carnival - a known tale from many years ago was that the Carnival, breaking its usual silent invitation, sent a message to Aeolian that they had prepared a private show for him. Wary but curious, Aeolian attended; whatever he saw within that show left him in an uncharacteristically furious mood for weeks, and he has since attempted to destroy the circus on sight whenever he finds it. He would speak only of 'depravity that should not sully the world twice by speaking of it'. 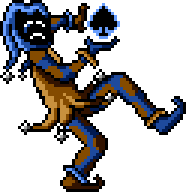 Most mysterious among the Carnival of Illusion is their supposed leader, the shadowy Joker - it is not known if this is a single individual or an inherited title. Those few who have claimed to have seen the Joker speak of a terrifying individual wreathed in living shadows. Sometimes, when storms stray too close to the mountains where Azural resides, they find themselves inadvertently transformed by the residual magic that still lingers from his creation, and become a Blizzard. While they lose the capacity for production of lightning, they find their rain has instead turned into snow, which they secretly take great joy in due to all the things they can do with snow instead of water. They occupy their time by creating fine beards and mustaches to wear from their own snow, and pelting travelers with various obscenely shaped snowballs. Which just goes to show; just because one of Torun's creations has found inner happiness doesn't mean it's not still a complete [email protected]#$. Boreal ents from Rodia's more alpine regions, the Evergreen Ents are seldom seen and only tend to travel during the winter when the colder temperatures they prefer can be found across a wider region. 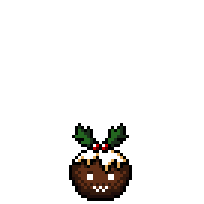 They are quite friendly and jovial so long as they are not provoked, and often feature in a tradition formed over the years in Nex where they will be asked to guard Nexmas gifts until the day comes to open them - and in return, the citizens decorate them with all kinds of trinkets and baubles. 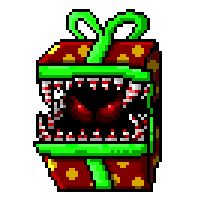 Anyone attempting to steal gifts or open them before their rightful time can expect to find themselves knocked to the ground by a sturdy branch or two. 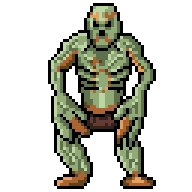 Today's monsters are a Chaos line - the Myrmidons, antfolk from the desert. 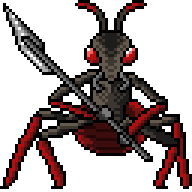 Ants are another animal I just like a lot (though honestly there's very few animals I actually dislike), so I figured i'd give them the Siralim treatment! 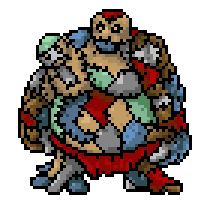 Myrmidons are only distant tales to the majority of Rodia's citizens, as their domain is restricted entirely to the deep desert far from any settlements, and they seem to have an avoidant distaste for other cultures. 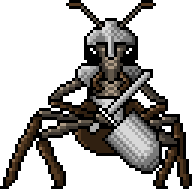 Most of the tales of their existence come from travelling caravans unfortunate enough to pass through their territory - nightmarish tales of insectoid monstrosities suddenly bursting from the sands and acting in near-perfect unison. 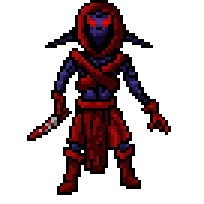 The Myrmidon Scout is very swift and clever, detecting intruders in a wide area. It keeps track of them and hinders their movement while alerting the other Myrmidons to come and attack. On rare occasions, Myrmidons have been known to attack settlements that are being constructed too close to their territory. Initially only small raiding parties are sent, though the attacks will gradually scale up in intensity the longer the offending settlement remains. Thus far, Myrmidons have refused to ever negotiate with other races, leaving their goals and motivations frustratingly unclear. Myrmidon Soldiers are among the stronger members of their kind, and sport basic arms of mediocre quality. Their tactical sense in battle is impeccable however, and they can perform wild sweeps and flourishes with their weapons without ever hitting another of their kind. In certain parts of the desert, sudden winds are considered a bad omen even if they bring brief relief from the oppressive dry heat. 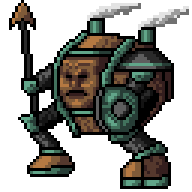 Myrmidons are known to have a basic grasp of magic, and use it to manipulate the sands of the desert into small-scale sandstorms that obscure the way and cloak their approach. 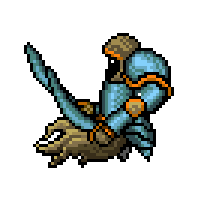 In battle, the Myrmidon Shamans manipulate the environment to their advantage - altering the consistency and makeup of the sands to suddenly strand their foes in quicksand, or whirling sand traps from which they cannot escape. Perhaps the most horrid tales of the Myrmidons come from those who have been unfortunate enough to be taken as slaves - as Myrmidons have incredible physical strength, it was mostly unclear as to why they would kidnap others to enslave them. 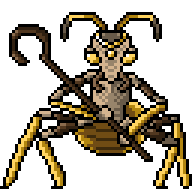 Those liberated from the Myrmidons report vast underground cave complexes many miles deep, with shrines and idols to a strange insectoid god where slaves are sacrificed in heinous rituals. Most feared were the Myrmidon Enslavers - coercers and slavemasters so effective in technique that they can compel their slaves to move their bodies against their will before they could even realize they were moving - an experience described as utter hell. Almost all Myrmidons are female - the workers, the soldiers, and of course the all-important queens. Rare among their kind are the males who act as consorts to new queens - as the males are weaker and drastically more short-lived than the females, they are doted upon and lavished with prestige and gifts while prepared for and pushed towards their invariably fatal purpose. Such 'Princes', as they are known, command great authority in the Myrmidon worker and soldier castes, and are often granted their own personal entourage to serve their every whim - and to ensure they do not stray from their fate. Legends tell of a fallen Seraph, one who had lost the favor of Surathli, who guards a seemingly empty stretch of desert with jealous ferocity. 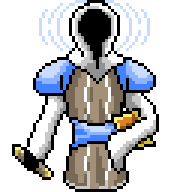 It claims to stand for the kingdom of Kaito, yet few mortal beings remain in the world who had seen the Kingdom of Kaito before it was destroyed long ago in the Watcher War. To these beings, reports of a Seraph that stands for Kaito are especially confusing, as Surathli bestowed the Seraphs upon humanity only long after Kaito's fall. 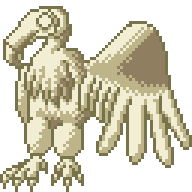 Why does this Seraph know of this ancient kingdom, and what purpose is served by guarding the now-empty desert where that old kingdom once stood? 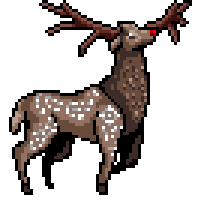 A unique stag empowered by the same magical coalescence that gave rise to the other Stags, the Stag Guide does not share its kindred's hostile temperament. Instead, it has been known to appear on harsh winter nights to lost travelers, its nose glowing a bright red in the dark as it leads them to safety. 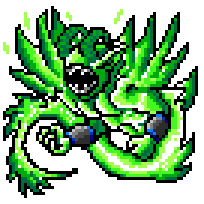 If taken advantage of or angered however, it responds with utter ferocity and stomps the offending party to death with hoofbeats so rapid and forceful they emit sonic booms that can be heard for miles around. It has also been known to run at such incredible speeds it generates localized gale force winds around itself. 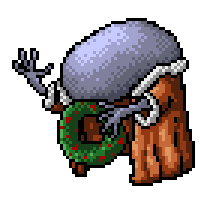 A rarely seen variety of spirit, the Festive Spirit (also known as the Holiday Spirit) appears only around the time of large celebrations, and purposely seeks out those who have been excluded or left out of the celebrations for cruel reasons. 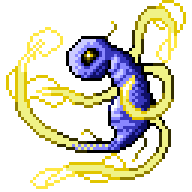 With the curious tendrils around its body it generates fantastic shows of light to entertain its wards, as well as telling them sweet and heartwarming stories that allows them to leave their sadness behind. When it departs, it leaves behind small gifts to remember it by, ensuring that the pariahs do not feel alone again at a time of happiness in the future. Quite a lot to post this time! 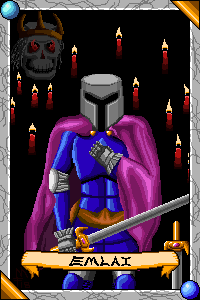 One thing I always thought about the collectible ingame cards is that they should have card art - that's a pretty standard thing for cards, right? 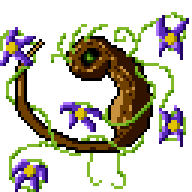 So, I decided to try out making some to see how it might look, and used the five starters you know well to carry it out; and I just finished them today (this took longer than I wanted to due to illness), here they are! 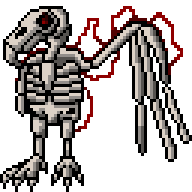 Today's monster line is Death class - the Carrion Birds. 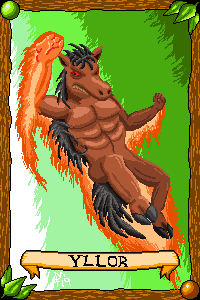 Since the lore for Vulpes and Stags mentions that the unleashing of magical power changed several animals into magically enhanced versions of themselves, I figured what about something for Death class too? Then it hit me - Vultures, the most deathly of bird. 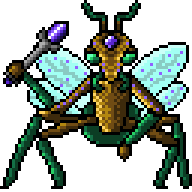 When the power of the Nether was unleashed during the ruler of Siralim's ascent to godhood, many species were changed - most apparent at first were the Stags and Vulpes, who were changed drastically. Less noticed however were the Carrion Birds - ordinary vultures granted far superior size and intelligence by the arcane event. As vultures are not a common sight in the most populous areas of Rodia, their transformation went unnoticed for many decades. The Carrion Glutton has been known to eat amounts of meat vastly in excess of its own body weight - this behavior serves little nutritional purpose, and it is surmised that it simply likes to overindulge for the sake of pleasure alone. Carrion Birds are noted to be extremely intelligent, quite possibly significantly more so than humans - mages who have stealthily observed gatherings of these creatures have reported the birds communicating highly complicated subjects to one another and holding what appeared to be large gatherings and meetings as if to discuss matters among themselves. It is suspected that they may well be attempting to form their own civilization. 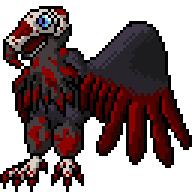 To the Carrion Butcher, blood is regarded as a symbol of status and prestige - it will eat as messily as possible to cover its plumage in blood stains as a display of pride. Needless to say, they become considerably upset whenever it rains. The newfound intellect of these giant birds has altered their hunting patterns significantly - whereas common vultures simply wait for prey to expire before consuming the remains, Carrion Birds have been known to engineer traps and ambushes, and otherwise herd prey into deadly scenarios in order to kill them for food. On occasion they will work with Arachnalisks - the Carrion Birds drive the creatures into the spider's webs, and then they share the prey between themselves. Preening and resplendent, the Carrion Fop is brightly colored, and grows even more vibrant and lustrous as it nears magic. They are aware of this quality, and will gather near powerful sources of magic to vainly increase their own beauty. During the event that resulted in the apotheosis of Siralim's ruler, the effects were arguably the most powerful near the epicenter - transformations had occurred all across Rodia, but perhaps the most drastic changes were of those closest to the event. Mages have speculated that they will be discovering new effects of the event for a long time to come. 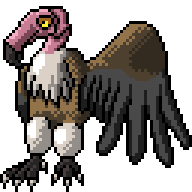 Carrion Spirits were created from the vultures unlucky enough to be so close to the epicenter of the event that it killed them - however, some quirk of magic caused their souls to solidify just enough that they were able to continue 'living', after a fashion. As they no longer need any form of sustenance, they simply explore the world to discover new things. While most Carrion Birds had their intelligence greatly increased by the event that transformed them, a select few became considerably more empowered than others, and developed an overwhelmingly vast intellect and a wit even swifter still. 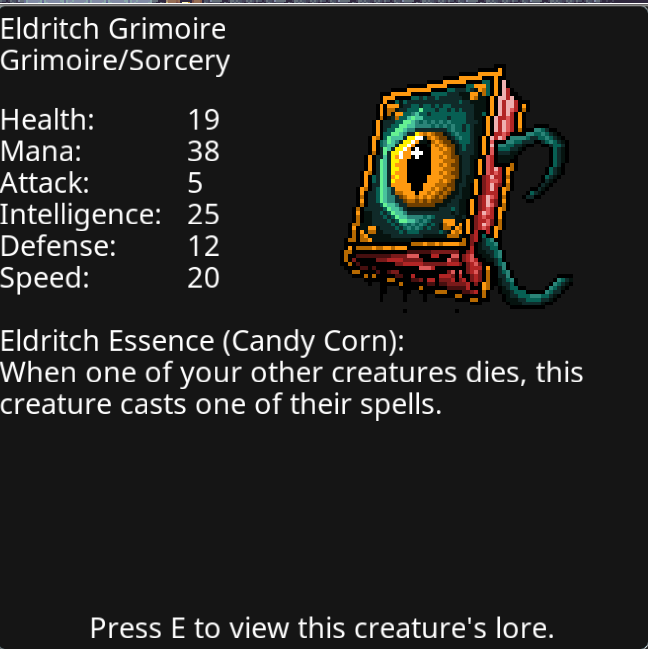 These creatures are driven to learn all they can, and many have developed magical prowess on par with some of the best mages in Rodia. Some Carrion Birds know enough of magic to know that there are ways to cheat the same death they feed upon - by mimicking ancient rituals developed by the lich order, these vultures are the first new recruits of their malefic army in a very long time. Despite his inclination towards the light, Lister knew when he created the Priests that those who do not walk in the light would not hear his message of peace. 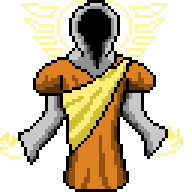 With the aid of Erebyss, the Dark Priest was thus created - a Priest that travels the depths and unseen places of the world, spreading its word of peace even where the light does not touch. It is able to shape the darkness to bring comfort and shelter to those touched by it, spreading its benediction through shadow. When a Paragon reaches a venerable age, its color starts to fade and its shine loses its luster - eventually the Paragon will simply fade entirely and become as little more than lifeless stone. This process terrified many Paragons, who had thought they were immortal creatures, and they sought to cheat death as the ancient lich order once had. 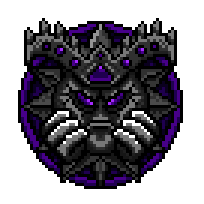 Through dark rituals and the channeling of baleful energies, the Obsidian Paragons were born. Their once powerful magical auras have become inverted, causing them to constantly draw in and feed off nearby magic instead of constantly exerting it upon their environs. 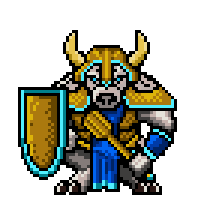 Very rarely, a white minotaur calf is born; to the Gonfurian-worshipping Minotaurs, this is considered an omen of weakness, and the infant is most often abandoned in the wild to meet a sad fate at the hand of the elements. On occasion however these calves are discovered by travelers before death can claim them, and are adopted and raised away from the Minotaur tribes they were abandoned by. 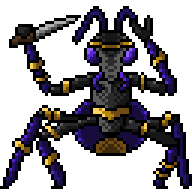 Many of them end up finding themselves worshiping Surathli; though many take up arms against her guidance to wage war against Gonfurian's hordes - an ironic pursuit that no doubt pleases him all the same. 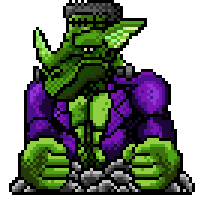 It's been a while because i've been busy on other things (mostly working on the bot for the discord channel), but i'm back again with another creature line, gonna go through the five types again. 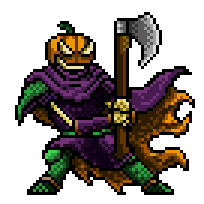 You may have noticed the previous set actually got put into the game for Halloween, which i'm honestly thrilled about! I'm very thankful not just for the opportunity to actually have some of my creations go into the game, but for a game I can be so passionate about in the first place - and of course the great community that surrounds it. Remember, if you like my work here - it's very much inspired by all you folks who show a common interest and keep coming up with your own cool ideas. I hope sooner or later I can inspire others to come up with their own great content too. Anyway, starting this set off with a Nature-class line - Matangoes! 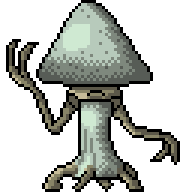 They're mushroom people, because mushrooms are great and I noticed we didn't really have any mushroom creatures in the game, so I felt like covering the niche. 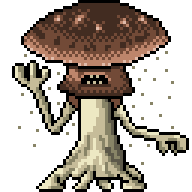 The Matangoes are a race of sentient, ambulatory fungi who are spread across the damper regions of Rodia, primarily the Cutthroat Jungle and the Swamplands. They tend to be rather furtive, shying away from Rodia's many other races, though most are not belligerent or warlike in any way. Trade and rapport has been established with some of the more open tribes, though maintaining contact remains difficult due to their remote habitats. The Bolete may have a rather surly and brutish appearance, but it is one of the more common Matangoes and known to be the most easygoing. They are the most physically robust of their kind, and come to the other tribes' defense when needed. Despite most Rodians never seeing nor hearing much of them, Matangoes are now believed by many nature magi to play an important part of the natural cycle, representing decay clearing the way for new growth. Matango digestion favors rotten and putrid matter, which they absorb through their root-like feet - thus the old and dead is recycled for new generations. 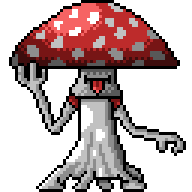 The Amanita are the most secretive of the Matangoes, and generally have a sour and dismissive disposition. This is not due to any hatred, but because the Amanita know that most other races would not survive prolonged contact with their incredibly potent toxicity. Matango communication is a matter that has yet to be understood well by those who have studied them - while hand-based sign language has been developed so other races can speak with the Matango, it is rather limited and the Matango seem to struggle to convey many basic concepts. However, Matango seem to be able to converse with each other over considerable distances almost instantly through some as-yet unknown mechanism. The Coprinus constantly drip a pitch black fluid from their cap, making a mess everywhere they go. It is not toxic, and some writers have been known to hire Coprinus to harvest their fluids for use as a large supply of cheap ink. 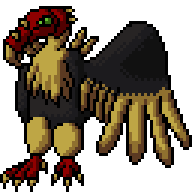 Few attempts have ever been made to attack the Matango, as they possess little worth plundering and make poor slaves due to their sensitive biology. 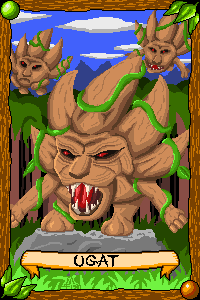 One documented case of an attempt to attack the Matango was perpetrated by a group of Devils who simply wished to kill something new - their attempt to get through the jungle was constantly thwarted by misfortune and outbreaks of disease, finally ending when a group of Ents conveniently stumbled upon them and stomped them dead. The Chlorophos are bioluminescent and glow with a ghostly green light - they are able to channel this power to create patterns of light in the air to hypnotize unwary travelers, who are then dragged off to some unknown, nefarious fate. There are those among Rodia's societies who peddle in bizarre theories and conspiracies. Prominent among them is the theory that Matangoes often kidnap innocent Rodians, and through some horrid process turn them into new Matangoes. When they do this, the new Matango retains the face of the one who was transformed. This theory, like most wild barroom talk, has yet to be substantiated in any capacity. The Agaric Matango is somewhat feared for its extremely wild and unpredictable behavior. 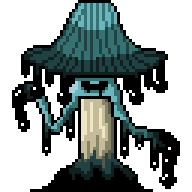 Its spores are known to be a highly potent hallucinogen, and many suspect that the Agaric itself is not immune to intoxication, leading it to live its whole life in a narcotic-addled haze. Torun has no recollection of ever creating this storm; it is unable to create lightning, or indeed even open its mouth to cuss since its own composition immediately fills its mouth with sand - this displeases Torun greatly, who created the Storms to terrify and humble any they encounter with their raw power. Due to these disabilities however, the Sandstorm's constant frustration has long since boiled over and become raw seething hatred for the whole world. It launches its coarse body at whatever it hates the most at any given moment while snarling incoherently, and the tearing force of sand and wind reduces its quarry to a shredded mess within moments. Needless to say, this displeases Torun considerably less. While most Rift Dancers are known to seek out or congregate around higher concentrations of magic, the Mu Rift Dancer engages in a strange inversion of this behavior; it will always seek out places with the lowest concentration of magic possible and simply remain there, as if waiting for something. Other types of Rift Dancer seem to fear it and will flee if one appears, though the Mu Rift Dancer never pursues them or attacks them in any way. It is theorized by several prominent mages that this particular Rift Dancer, especially given its anti-magic properties, is to Rift Dancers what the undead are to the living. There was once a legend of a cursed king who, as punishment for his great greed, was cursed such that everything he touched turned into solid gold. 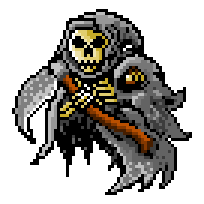 Few know that this legend was actually true, and persists in limited form long after the king's death via his lost skeletal remains. 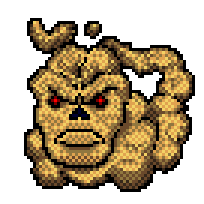 While being transmuted into gold is completely lethal to most living things, the humble Dumpling appears through some quirk of magic to be immune to the more harmful aspects of this curse, and finds itself transmuted into a being of pure and incredibly dense gold. Unsurprisingly it is sought after by many; however its new incredible density and weight combined with its unaffected agility has made it extremely dangerous to anyone in its path when it turns tail and flees. Another creature line to round out the five classes, a Death-class line of monsters: Nightmares. 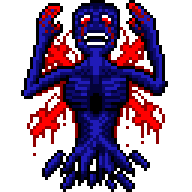 I have something of a fascination with the concept of nightmares since i've always had very vivid ones constantly since I was young, so I thought how such things might be personified. 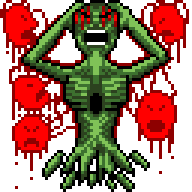 As they're always rooted in fears and regrets, I decided to personify various fears and failures and bring them to life... or, well, death. Every thirty-three years, a magical phenomenon occurs in Rodia - a cursed cloud passes over the land, heading from the north to the south. Beings who find themselves under this cloud find themselves often distracted and lost in thought, reminiscing upon painful and gloomy memories as if compelled to by some outside force. The Traitor's Nightmare is born from regrets of betrayal and treachery. It seeks out those who betrayed others for their own gain, and gruesomely tortures them by remaining unseen behind them at all times while sobbing and wailing, thrusting sharp knives and arrows into their backs again and again until they eventually bleed to death. 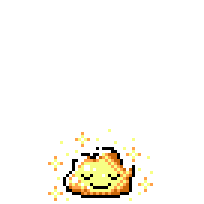 Eventually, a group of mages decided they would try to get rid of the cloud for good - using a powerful incantation, they worked a mixture of arcane and divine magic upon the cloud until their resources were spent. When they were done, the cloud was far smaller than it was before, and the mages celebrated their success. The Failure's Nightmare comes forth from the regrets of those who could not fulfill their duties or obligations. Hunting down those who shirked their tasks, it screams at and berates them non-stop until they fulfill their duties or die. The persistence of this spirit's harassment is so great that most of its victims simply die from exhaustion due to being prevented from sleeping for weeks. After the now much smaller cloud passed over a town on the outskirts of Siralim's borders, the mages checked up on the town to ensure their work had been done - they found most of the townsfolk gruesomely murdered, the few survivors tormented beyond the limits of their sanity, and many strange and terrifying spirits that had never been seen before roaming the streets. Regrets of unfulfilled potential and what could have been give rise to the Imperfect Nightmare - it is among the more benign nightmares, as it simply does nothing more than follow its "victims" anywhere they go, apparently unable to bring itself to do anything more to them like its more malicious brethren, for fear that its actions would be inadequate. It rapidly became apparent that the cloud had not shrank or been destroyed, but had instead been condensed - its formerly gloomy but mostly harmless effects amplified to an incredible extent, allowing it to manifest beings created from the regrets of those who fell under it. The mages are known to have fled in horror and shame, never to return. Whenever the cloud passes by, the survivors now burn effigies of the mages in a festival shaming their incompetence and cowardice. The Coward's Nightmare is drawn forth by regrets of disasters caused by inaction. It is among the most feared of Nightmares, as its ability to cause incredible misfortune is without peer - and it carries a curse that none will come to the aid of those harmed by the calamities it brings. Long ago, a book no mage recalled ever having written or created simply appeared by itself in the Refuge of the Magi. The mages were immediately suspicious of it, and locked it away for further study once they could establish the proper wards and safety measures to do so. 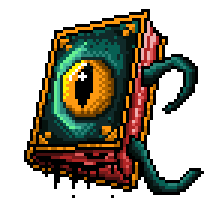 Unfortunately, curiosity got the better of one young and reckless apprentice, and he sneaked into the chamber to take a peek at the book's contents. He was immediately sucked into the book, and it manifested a will of its own and began attempting to open portals to some hideous outer dimension; after much effort, the book was eventually sealed and locked away. Ainsworth was noted on record as saying that if anyone else in the tower was stupid enough to try and read the book again, she would make them scrub every cauldron in the building. There was once a tale of an inseparable Imling and Imler; they were the best of friends and had many fantastic adventures together, but misfortune struck when the Imler died after a brief but potent illness. The Imling was devastated beyond words and simply could not move past the death of his cherished friend, so he delved into forbidden sciences and magics looking for a way to get his friend back. The other Imlings called him mad and cast him out, mocking his obsession and even his loss; but he persisted in his work, determined to see his best friend one more time. Over a span of weeks, several bodies of strong and powerful Imlers that had died went missing, and the Imlings were at a loss for what was happening. One dark night, however, they were awoken by the crack of thunder, followed by an exuberant shriek of "It's ALIIIIIIVE!". Following the sounds, they found the Imling they had called mad, and his newly reanimated best friend. 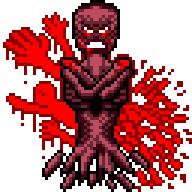 Claiming he had gone too far, the Imlings tried to destroy them and their laboratory, but the resurrected Imling was far too strong for them to oppose. With a mad, whooping cackle, the pair escaped into the night and remain at large to this day. Since then, young Imlings are often told that if they don't behave, the mad doctor and his terrible monster will get them. 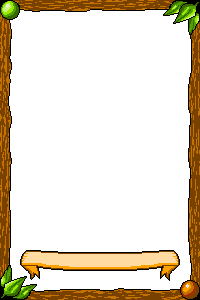 Another post, another new set of monsters - the Mirrors, who belong to the Life class. 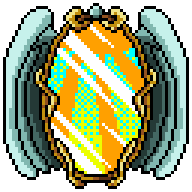 Yseros, Goddess of Illusions, was known to have long ago crafted a set of mirrors as gifts to a monarch now lost to time. These mirrors were supposedly able to show a great many things both real and otherwise, including futures not yet realized. They quickly became the target of many covetous souls, which many suspect led to the fall of the now-lost kingdom. The Mind's Mirror reflects the mind and mental condition of whoever gazes into it, though abstracted and distorted in such ways that the gazer gains new perspectives on what troubles or drives them. Few who stare into them come away unchanged. The whereabouts of many of the original Mirrors of Yseros are now long-lost, assuming they survived. 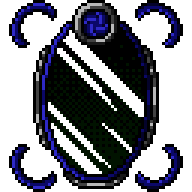 Mages have in the eras since created replicas of the original mirrors. Though unsurprisingly far less potent than the work of a goddess, they attempt the fulfill the same functions as the original set of mirrors - how well they perform at this task depends on the skill of the enchanter. 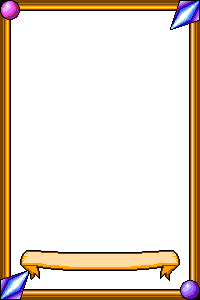 Void Mirrors are desired by few, as they are aberrant surfaces that reflect only true nothingness. It displays nothing more or less than a hole in reality without actually being one - viewers have sometimes claimed to see things in the mirror regardless, things they were unable to describe. Supplicants to Yseros have on occasion asked her about the mirrors she created, only to receive elusive and esoteric responses in turn. Whether or not she wishes them to be found or used again is unclear - scholars who study her words have formed several schools of thought on the matter, some of which believe the mirrors were not a gift, but a curse. 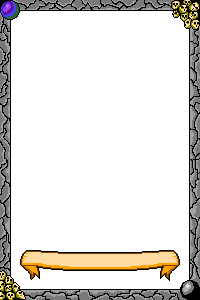 Viewers of the Doom Mirror cannot afford to be faint of heart, for it displays visions of one's own demise. Whether these visions are fated or avoidable is the subject of much debate, as several who took precautions to avoid the death they foresaw are known to have instead ended up causing it to come true through their actions. 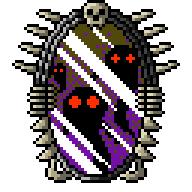 Many replica mirrors created by mages in the time since the originals perform their function poorly, or even in a harmful manner if the enchanter is unskilled or reckless - an infamous incident with an accidentally cursed mirror once caused the personalities belonging to an entire town to become completely inverted, turning a quiet and humble farm hamlet into a den of shocking depravity almost overnight. The Wish Mirror is perhaps one of the most desired types of enchanted mirror, as it shows the bearer their deepest desire. Interestingly these mirrors very often appear to be capable of independent thought, and often refuse to show a true vision to those it deems evil or selfish, instead showing them a lie in hopes of turning them to good. Another incident with a badly enchanted mirror caused the mirror to replicate its properties onto any surface it reflected light onto, turning it into enchanted glass. 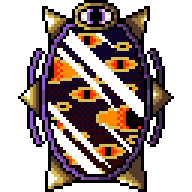 A cruel queen came to possess this mirror and would use it to punish subjects by having them gaze into the mirror, then lighting the room up to turn them into a glass statue. 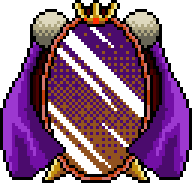 A heroic mage eventually broke the spell, reverting the statues back into people, at which point they shattered the mirror and executed the queen for her crimes. The Royal Mirror's visions are often obscure and difficult to understand, but have seemed to relate to helping the viewer achieve their greatest potential. It makes little moral distinction between viewers however, as both celebrated heroes and notorious murderers alike found their rise to prominence in these mirrors. 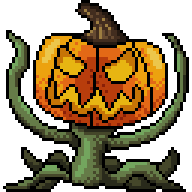 For the supplemental edit monsters this time, since it's still october I decided to halloween it up some more. Enjoy! 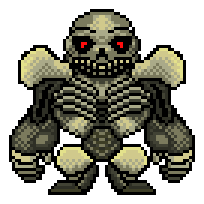 These golems are fashioned from carved and polished bones, and retain a strange hybridization of the personalities of the bones' former owners once animated. 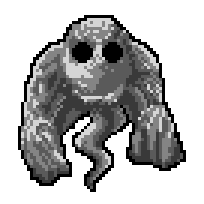 Using the bones of intelligent creatures to create these golems is highly recommended against, as it quickly becomes angry after animation and will attack whoever took or worked with its bones as if it remembers and holds a grudge against them. Curiously, all Bone Golems share an interest in protecting graves and other places of rest, so they are commonly employed as grave keepers and protectors for burial grounds. 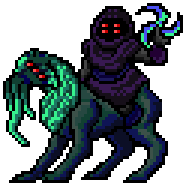 The horseman walks, to rend your flesh from bone! Before he departs, laughing cruelly"
Widely regarded as one of the weakest creatures in Rodia, the Spooky Shade arises from unknown circumstances to, by its own claims, "sow the utmost pants-soiling terror into the quivering hearts of puny mortals", a task at which it fails miserably. It often covers itself in a plain white sheet to cause greater fear, apparently not knowing that its true appearance as a Shade is already terrifying to most Rodians, and that it accomplishes little other than making itself look incredibly silly. It has a tendency to play completely harmless pranks that it seems to think are incredibly depraved acts of evil. If a Spooky Shade begins to bother you, simply threatening it with a rolled up scroll or a broom is usually enough to get it to flee, screaming. An Abomination of far less grisly origin than most, this creature has been stitched together from scraps of various cloth, stuffed with straw and then animated for some unknown purpose. It has a benign nature and often enjoys playing with children, allowing them to beat it up for fun or use it as a pillow, knowing it can simply stitch any damage back together overnight while they sleep. 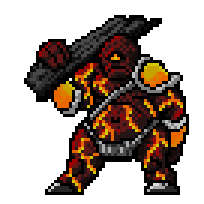 Tartarith is known to have a special hatred for this creature, far more extreme than his normal hatred, and has set it on fire on more than one occasion, though it was quickly saved by nearby adventurers. When asked why he hates it so much, he simply responded "STUPID. HATE IT." before immediately attacking the questioner with a rusty knife. 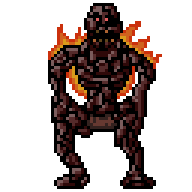 Credit to MeissnerEffect for this particular monster idea! Another line of monsters, Nature class this time: the Moths, as well as two edits. 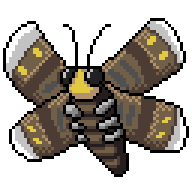 I like moths quite a lot, they're adorable and come in all different kinds, so I figured why not give them the Siralim treatment? Moths are, as anywhere else, quite a common sight in Rodia along with their butterfly cousins. Unique to Rodia however are the families of truly giant moths that seem to have been the result of magic-induced mutation, be it deliberate or otherwise. 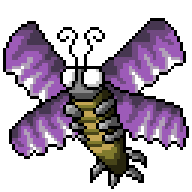 While docile and usually more interested in nectar and light sources than anything else, they are far from harmless and can severely sicken or injure an unwary traveler if provoked. The Wood Drifter is the most common type of giant moth and can be found in forested areas. Large groups of them can scatter such a large amount of dust that it can present a significant breathing hazard. The majority of moths do not fare well in the cold, and will often migrate to warmer areas or otherwise hibernate in some capacity when winter falls. A notable exception to this is the Winter Swarmer, which seems to not only tolerate the cold but actively thrive in it. They are, however, quite rare even during winter to the point where they had been thought extinct several times, only to reappear in isolated breeding swarms years later. 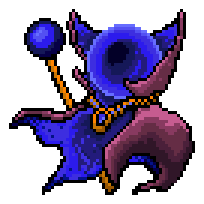 Azural is known to have a fondness for these creatures, and has granted his favor in the past to those who brought one to him - which is likely another reason why these creatures are so difficult to find. 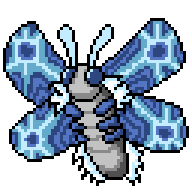 While it is thoroughly docile and harmless in temperament even by usual moth standards, the Imperial Monarch is highly dangerous, and the authorities of several counties advise their citizens to report sightings of these insects to them as soon as possible. The dust scattered by the Imperial Monarch is extremely toxic in nature, and has been known to put whichever unfortunate soul inhales even a small quantity of it into a deep coma that can last for years. 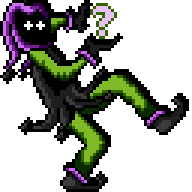 Due to this, poisoners have a very keen interest in the creatures, though only the most skilled poison-brewers know how to safely work with the substance. Said to be one of the most beautiful creatures in Rodia, the Surathli's Maiden moth is an unusual mutation that possesses six wings instead of the usual four - translucent wings that shimmer in many colors like the stained glass windows of an ornate cathedral. 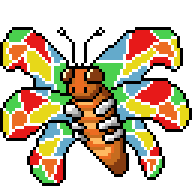 It is a rare treat for Rodia's citizens when large swarms of these moths gather during the day and perform their high-altitude mating flights, the light of the sun being filtered through their wings and casting a dazzling array of colors across a wide stretch of land. 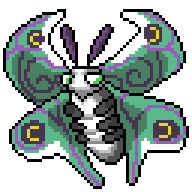 Noted for its capricious and often fairly spiteful nature, the Fae Flutterer is among the most intelligent types of giant moth. 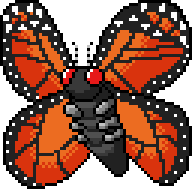 While admired for its unique and colorful looks, the moth is highly territorial and responds to intrusion by releasing vast quantities of potent hallucinogenic dust into the air, debilitating trespassers into a maniacal state of illusion. If they should still remain after exhausting themselves in their lunatic state, the moth pierces their neck with its proboscis and drinks their blood. This is rarely lethal and does not infact nourish the moth in any way, but victims soon learn not to return to the moth's territory. Swarms of Dusky Phantom moths are often avoided as an ill omen due to their ethereal appearance, nocturnal nature, and the ghastly odor they constantly emit. Strangely, they seem to have a preference for congregating around burial sites and other places where the dead are laid to rest - previously unknown burial grounds, battlefields and hidden tombs have been located when these insects chose to gather around sites previously thought of as innocuous. Practicing magics that have been forbidden by the elders is a grievous taboo in elven society, and carries the penalty of exile. As many elves find non-elven society to be intolerable, many transgressors soon find themselves paying the penance for their crimes to be re-admitted, and never defy the elders again; some elves however find the unburdened nature of solace to be ideal for the dark and gruesome path they now embrace. Such elves either soon find themselves destroyed by the powers they sought to meddle with, or become a serious corrupting threat that the elders spare no prejudice in dispatching. Death in nature is simply no more than the end of a living process - however, mortal fears abstracted into personas and entities since the dawn of time have, aided by the nature of magic, given rise to sentient manifestations of the concept. The reaper named simply "Death" acts differently depending on whose presence it appears in; how each person views the concept of death influences its behavior. It has been reported in many different ways; acting as a warm-natured guide and guardian, a neutral arbiter, or even a malicious psychopath. Unnervingly, it seems to be quite aware that its will is imposed upon it through no choice of its own, and seems to greatly resent this aspect of its "psychology". 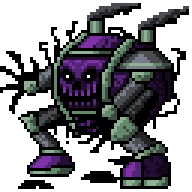 Another monster line i've come up with - Automatons, chaos-class war machines. 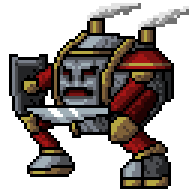 I was thinking about how the Priest line perform support actions automatically with no user input, and thought about an offensive alternative, and the image of deadly machines came to mind. These differ from golems in that they are not magic at all, but purely mechanical. 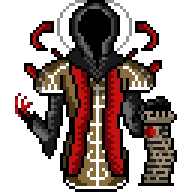 Gonfurian, the God of War, has told stories of a race of followers in the past who displeased him, and the subsequent fate they suffered for it. They were physically weak but cunning, and had a great many inventors and artificers among their ranks who had allowed their race to escape a violent end. These rare automatons are still in relatively good condition given their age, but few actually use them in combat due to their value as collectors items that command an exorbitant price in many markets. The few who employ them as actual war machines find their deadly functions still work well to this day. 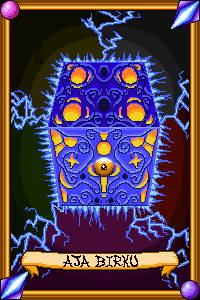 The race created war machines in Gonfurian's image, and presented them to him as tribute. Gonfurian was impressed, but warned them that raw strength alone is not enough to win in war. The chief responded that they had rendered strength irrelevant with their new inventions, which displeased Gonfurian and caused him to issue a challenge. 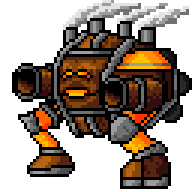 Few things can stand against the tremendous power of the Siege Automaton's cannons, but the rate they consume fuel and ammunition causes the costs of operating them to be well beyond the means of most would-be conquerors. Gonfurian's challenge was for them to successfully invade the domain of the elves. Success would win them Gonfurian's respect, failure would result in them being known only by their shame for the rest of time. The race sprang to work immediately, crafting a great many terrifying war machines of brass and steel. Many malfunctioning automaton, for unknown reasons, decided to cease fighting and flee deep into the woods where they hoped none would find them. Their old bodies can still be found from time to time, almost entirely overgrown by vines and roots. When the time came for the race to meet the challenge, they marched upon the Cutthroat Jungle with their war machines belching smoke and fire as they advanced. Soon they found that they were consuming far too much fuel, and many of their machines had been broken from disrepair or elven sabotage. By the time they had reached the first elven settlements, they had lost so many of their machines that they could no longer fight off the angry elven army, who promptly slaughtered them. These old automatons are often unearthed or discovered in ancient battlefields. Many are often beyond repair, and thus are simply refurbished as statues and sold for a high price to collectors. Gonfurian has never spoken the name of that old race, nor revealed whatever became of them, simply stating that they shall exist for all time as no more or less than a shameful lesson for others to learn from. Such is the price of displaying arrogance and complacency before the god of war. 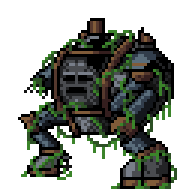 On rare occasions an old automaton is discovered by a malefic force or spirit, who decides to reanimate the ancient machine as a vessel for it with which to wreak havoc. Such incidents are few, but end up quite firmly etched upon the minds of whichever unfortunate souls survive the task of stopping its rampage. These creatures have been known to descend upon smaller towns and villages, usurping the local authority and then demanding a tithe of blood sacrifice in order to abate its wrath. It makes the claim that it draws the power it needs to live from human blood - even a novice mage could immediately see this for the lie it is, as human blood has no inherent magical qualities beyond its symbolic value. The truth is that it simply enjoys seeing the despair and heartbreak of those who have to offer up their friends and family to die for no good reason at all. This subversive spirit seeks out hopeful and optimistic individuals, and offers to show them visions and dreams of what could be. Those foolish enough to accept are shown dreams of such absolute beauty and magnificence that they soon begin wishing to see them again. The spirit obliges, for a price; small at first, but gradually increasing with each viewing. Soon the victim is left destitute and has nothing more with which to pay the toll - at which point the spirit reveals that the dreams were genuine visions of the future, and that by sacrificing whatever it asked for, they have permanently rendered that future unobtainable. It then departs forever with a malefic laugh, leaving a broken soul to wander the world in despair. Thank you for sharing this awesome work. Maybe dev team will implement it. 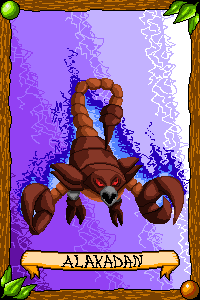 Next up, a line of Sorcery monsters I came up with - the Homunculus (or Homunculi if you wanna get plural about it). In the real world, these mythical creatures came from beliefs in Alchemy, which was sort of a precursor to modern chemistry with a lot of old traditional mysticism mixed in. The Homunculus was believed to be an artificial form of life taking the form of a tiny human being, who could then be made to serve its creator in various ways. I strongly recommend you don't look up how alchemists believed you could create a Homunculus, unless you want to feel very sick! One of the early disagreements Zonte had with his master Ainsworth was over an incident known as the Homunculus Project conducted long ago in the Refuge of the Magi. The project sought to create an entirely new flesh and blood creature from alchemy and magic combined, rather than merely magic alone. The Violent Homunculus instinctively knows it does not belong within the natural order, and deeply resents its own existence. It reacts with great rage, hurling itself at foes with equal seething contempt for both its prey and itself. 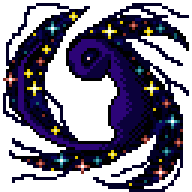 Zonte already had misgivings about the purposeful creation of new life by mortal mages, worrying that the new creatures would be cruelly abused or otherwise irresponsibly discarded once the process of their creation had been completed. Ainsworth dismissed these beliefs, citing the potential applications of the resultant Homunculi. Often seen gazing into the sky or off into the horizon, Esoteric Homunculi are said to possess deep insights and knowledge of a great many things, but have no means nor ability to communicate this knowledge to any other. Zonte's doubt in the project only grew when he began receiving prophetic dreams of catastrophic worldwide disasters to come should the Homunculus Project be allowed to come to full fruition, visions he would later come to recognize as being sent to him by Yseros, the Goddess of Illusion. 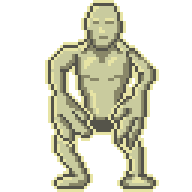 One of the project's later works prior to being shut down, the Hulking Homunculus was designed as the perfect manual laborer. However, they were unable to curb its deep thoughts, causing it to become aware of its slavery and violently reject it. Though he tried his utmost, Zonte could not convince Ainsworth to doubt the project or think about shutting it down, until the day the first "successful" Homunculus was revealed. Many present gazed with horror upon the wheezing, wretched creature that had been produced, and were shocked when its first and only words were to plead for its own death. No living creature is able to gaze upon the form of the Repulsive Homunculus without feeling a deep, instinctive revulsion to it. For this reason, it often hides itself away in secluded places and lives alone, fearing reprisal and persecution. Zonte had more success in convincing Ainsworth after the first Homunculus was revealed that something was terribly wrong with the project, and they decided to investigate why the first "success" had produced something so piteous. On cursory investigations, they found many strange prototypes and demonstrations in the laboratories. It was then that they found the mausoleum. An early prototype, the Clay Homunculus is barely a homunculus at all in the strictest sense of definition. While alchemical processes were used to animate the clay, its will is mostly derived from the enchantments and spells placed upon it. Zonte and Ainsworth were horrified at what they found. Entire wards of the refuge filled with screaming, undying creations that burned incessantly and yet did not decay to ash, having been cruelly disposed of by the project's staff when they did not meet expectations, abandoned to perpetual agony. Ainsworth was furious, and sought to shut down the project - but the worst discovery was yet to come. When they confronted the project's master, he attempted to save face by revealing something once thought utterly impossible - the creation of new, completely artificial souls through alchemy. Knowing the gods would surely condemn them for such a thing, Ainsworth ordered them destroyed at once - but in their cunning, a number of them escaped into the world at large. The project was disbanded after this incident and the homunculi given whatever pity or mercy the mages could muster, but Zonte always darkly wondered if he had truly averted the disasters of which Yseros had warned him. 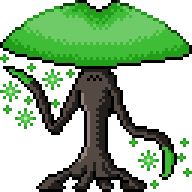 Some time ago when Torun was using his considerable power to oust some unwanted invaders from his domain, a piece of his power went astray and accidentally enchanted a piece of fruit on the edges of the jungle, bringing it to life. Torun, of course, was tremendously annoyed by this and immediately moved to "SQUISH THE STUPID LITTLE [email protected]#$". The creature immediately responded with a barrage of bad language that was so utterly ferocious and vile that even Torun himself was impressed, and decided to spare the creature's life. Since then it roams the world, playing pranks and cussing up a storm at whoever is unfortunate enough to encounter it. 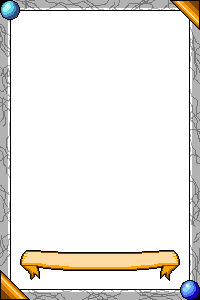 Page created in 0.194 seconds with 67 queries.